Southcoast Health was the first hospital in Southeastern Massachusetts to perform open heart surgery 15 years ago. Today, its program of cardiac and vascular care is nationally recognized for delivering exceptional clinical care and outcomes. While Southcoast still performs more than 300 open heart surgeries a year, it also offers patients a wide range of treatments — from preventive and wellness initiatives to the most sophisticated, minimally invasive surgeries available. 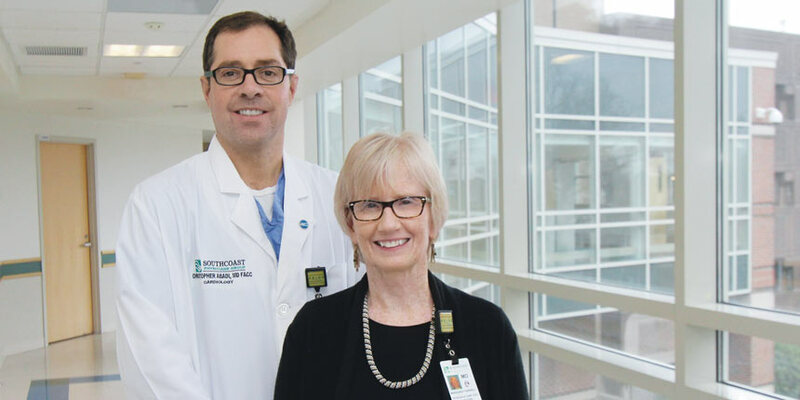 Dedicated to heart care The Harold and Virginia Lash Heart and Vascular Center, which opened in 2014 at Charlton Memorial Hospital, has a hybrid operating room (OR). The hybrid OR, which looks like a futuristic operating theater, is the centerpiece of Southcoast’s structural heart program. Vascular surgery and endovascular procedures (using balloons and stents) are performed in that setting. The latest imaging equipment and other technologies allow physicians of different disciplines to collaborate on a single patient. Downstairs from the hybrid OR, a new electrophysiology lab opened in February to accommodate advanced, minimally invasive procedures for irregular or abnormal heartbeats (see “The Latest Technology to Treat AFib”). The breadth of treatments offered by Southcoast Health allows a team of physicians to tailor a personal plan of care for each patient. Iraklis Gerogiannis, MD, chair of cardiothoracic surgery, believes that oftentimes the best care for patients is less invasive care. “This is the future,” he says of robotic surgical techniques, which he introduced to Southcoast in 2012. Today, he performs not only cardiac artery bypass surgery, but minimally invasive valve replacement and arrhythmia procedures, in conjunction with electrophysiologists, to minimize patient risk and recovery times. Southcoast has access to technology that not only is unusual for a community hospital, but in many cases is “rare in the country,” says Dr. Gerogiannis. This allows more patients to be treated close to home. For example, for the past several years, Dr. Gerogiannis has used miniature pumps inserted through a small incision to temporarily support the functioning of the left side of the heart following serious cardiac surgery or heart attacks. This allows the diseased heart to recover more easily and gives the cardiac team time to assess the patient’s condition and prepare for additional treatment, if necessary. Over the next few years, he expects to implant pumps that will remain permanently in the heart, as well as pumps that support the right side of the heart, which pumps blood to the lungs. According to Dr. Gerogiannis, these new techniques and technology allow the heart team to “take care of patients who are sicker while trying to be less invasive,” which means smaller surgical incisions and faster recovery. Dr. Gerogiannis believes that prevention is the best treatment and plans to help educate the community about lifestyle changes that can keep a heart healthy — exercise, healthy eating and not smoking. But sometimes heart trouble has nothing to do with lifestyle. It can also be a byproduct of cancer treatment. “Survivors of early-stage breast cancer can be more likely to die of cardiovascular disease than of the cancer itself,” says cardiologist Christopher Abadi, MD, FACC, who is the medical director of Southcoast’s Echocardiography Labs. For that reason, Dr. Abadi is heading a new Cardiac Oncology program for Southcoast. It uses a new technology called strain imaging that allows for earlier detection of a decrease in heart muscle function, which can be caused by certain chemotherapy drugs or radiation protocols. If not recognized early, it can lead to congestive heart failure. Strain imaging equipment is now in place at Southcoast’s clinic in Middletown, R.I., Southcoast Cardiology Services at the Truesdale Health clinic in Fall River, and the Southcoast Cancer Center in Fairhaven. Cancer patients can receive cardiac assessments at any of these locations. Dr. Christopher Abadi for Health+ May 2017v2 from Southcoast Health on Vimeo. Over time, Dr. Gerogiannis expects Southcoast may need to expand its facilities further to accommodate growing cardiac care programs. The system has become a training center for physicians from other states, who come here to learn the leading clinical cardiac treatments and use the latest medical equipment. 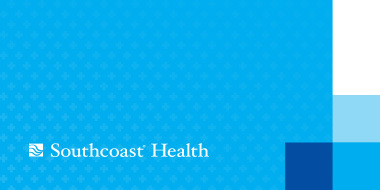 Learn more about Southcoast’s cardiovascular services. Southcoast has been recognized as one of America’s 100 Best Hospitals for Cardiac Care for six years in a row by Healthgrades (2012–2017), the leading online resource for healthcare consumers. Southcoast is one of just four hospitals in Massachusetts to receive this distinction in six consecutive years. In addition, Healthgrades has awarded Southcoast the Cardiac Care Excellence Award for 11 years in a row (2007–2017).